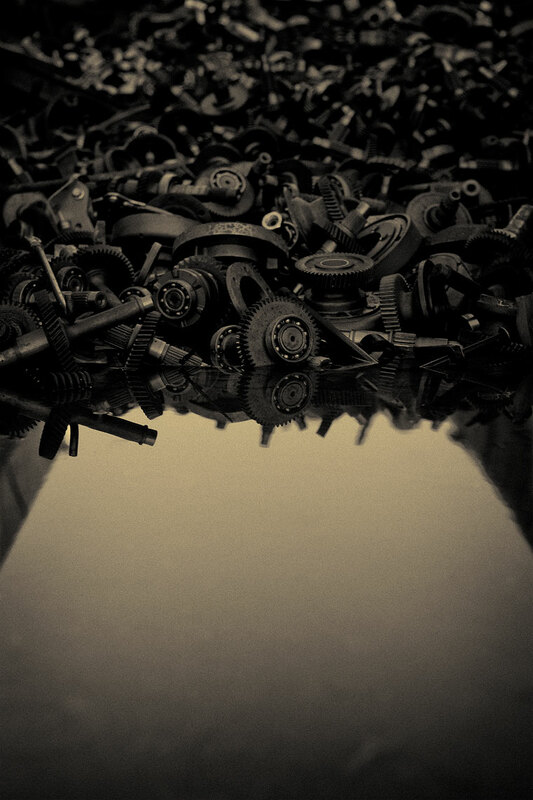 Black and White photograph or metal gears in Rainwater in the back of an old dump truck. Northern, MN. Personal.